The best thing about making money online is that it typically requires so little overhead – you don’t need an office, you don’t need a garage full of products, you don’t even need to get off the couch sometimes. But while it’s flexible – it’s a ton of work and actually pretty tough. Of course, there are always the stories of people who make an insane amount of money online, but they are the exceptions and it’s unfortunately not as easy as running a few Facebook ads and making bank. Here’s how I know: I’ve built my entire career online. It’s made me a millionaire and helped me reach financial independence at the age of 30. Here’s what I’ve learned over the past 8+ years making money online, both the opportunities and the challenges. I’m not going to sugarcoat it for you– it definitely takes some time to make money on a website. 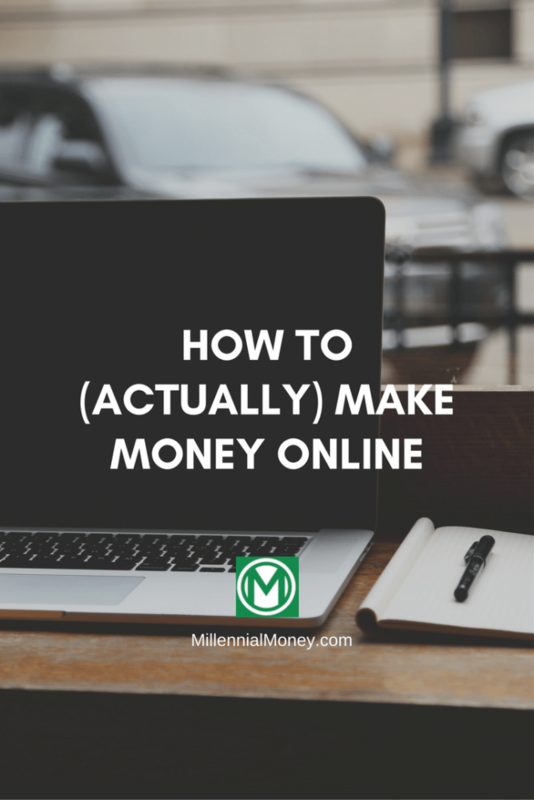 I estimate that I spent at least 500 hours building and writing for Millennial Money before I made my first $1. I just did it because I loved. You really gotta love it to put in the time. Ninety percent of the blogs I see these days last less than 6 months – people just burn out which is easy to burn to do when your blog doesn’t have any traffic and it’s not making any money. Millennial Money was launched in 2015 and after building hundreds of websites for other people, this is the first one I’ve built for myself. Interestingly, I launched Millennial Money because I love to write as much as I love side hustling, making money, and investing. Not to just make money. While I knew that it was possible to make money as a blogger, it wasn’t my primary motivation. Like many people, I live an insanely busy life and blogging about money is a way for me to reflect and disconnect. While I was very intentional about how I built all of the pieces of this website, I didn’t have any massive expectations for traffic or revenue. It took me 3 months to get to 1,000 total visitors and I was so pumped to hit that goal. I just kept writing and writing and writing. 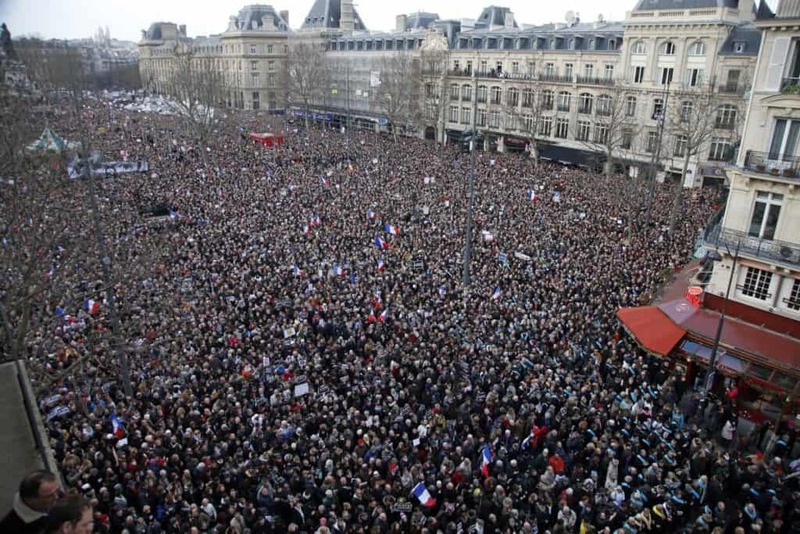 Then almost two years later…. This week Millennial Money reached a big milestone – there have been over 1 million unique visitors to this website over the past year. Even with all of this traffic, I make between $5,000 – $8,000 each month directly on traffic driven ads meaning so people who come to the website clock on the banner ads, or click on the links on my recommends page or in my guides on best credit cards or student loan refinancing. On average I spend about 10-20 hours a week on the blog, so my effective hourly rate is about $100-$200 over the month, which is amazing, but I know I can push it even higher. I just need to find more time. Blogging is one of my favorite things to do in the world, but I’m also writing a book and manage two other companies, and a number of other income streams – so I don’t have as much time to put into this project as I would like. Making money with a website or product online is all about traffic, but a big mistake that many people make is they focus on quantity instead of quality. The higher the quality of your website traffic, the more money you will make – period! This is why a lot of paid advertisements don’t work – because they are cold traffic. If someone sees an ad for your product on Facebook, you are probably targeting them because they’ve never heard of you or your product before. You can’t expect this person to then turn around and buy something. In a few cases, like with the headphones company, I was able to maximize my value by negotiating a deal where I got paid based on the amount of profit I was able to drive – which with this one client was insane. I got 20% of the profit that I drove that was directly attributable to the digital marketing campaigns that I was running. I knew that I was going to crush it, so I spent extra time up front making sure that the contract I had him sign covered a ton of scenarios. While I tried to make the case, which was true, that my strategy would help increase sales over at least the next 2+ years, the owner of the company would only sign on for 6 months. And you know what happened? Yup, I crushed it and ended up selling over $2.5 million in headphones in that 6 month period for the owner and my cut of the profit was $200,000. Not bad for 6 months of work that didn’t really take much time. Unfortunately, even though I crushed it for him, the owner didn’t end up renewing my contract. He thought he could do what I was doing. I was so pissed. I’d made a rookie mistake when I was excited one day and showed him how part of the campaigns worked. Over the following months, I kept a close eye on what he was doing and it was easy for me to see that he was messing up the paid campaigns that I had built, but was still clearly making a ton of money. The search engine optimization (SEO) work to help him rank higher on Google for a number of popular searches ended up helping him for a long time until his website one day disappeared. I estimate the work I did for him made him at least $5 million, but I still made a little over $200,000. Still a super solid return on my time. If you want to learn more, check out my post on how to launch a consulting business. Last but not least, you can make money online by launching your own product or service. It’s never been easier in history to launch an online business and reach people with your product, which is both an awesome opportunity but also makes it a lot more competitive. It’s just hard to stand out. I launched my own online marketing agency in 2010, but I didn’t launch a real online product until a few months ago (Millennial Money Course). My co-creator Matt and I had a phenomenal 5 figure launch the first few days (and we launched on a holiday weekend because we wanted to control the sign ups). Putting together the course was an insane amount of work, but the best thing about creating a digital product is that you only have to create it once and then you can keep selling it. There are some people, like my fellow personal finance blogger Michelle, who absolutely kills it selling online courses – she makes over $100,000 a month on her course! Insane. If you want to build a product, make sure that you have something to sell that people want to buy. A great way to do this is by analyzing Google search volumes using the free Google Keyword Planner to see how many people are searching for what you want to sell. This tool also tells you how competitive the keyword is, meaning how many people are bidding on it, thus how competitive it is likely to be to get visibility for your product or brand. A word of caution, to make money your product or service needs to be unique or stand out. So many people reach out to me about a new product they are planning to launch that 99% of the time is just a copy of someone else’s product. Either the course is the same, or the app is the same, or the physical product is the same. This is a surefire way to fail. Before you launch any product, spend AT LEAST 10-20 hours online researching other similar products and figure out what makes yours unique and why someone should buy it from you. And then sell that! If you can’t describe what makes it unique or valuable, then it’s likely not going to sell online. But unfortunately, a vast majority of them are crap. 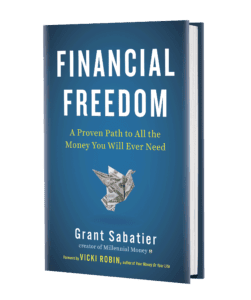 The formula is simple and usually the same – sign up for my free webinar where I will share all of my secrets with you, then comes the free 1-3 hour webinar where oddly the person gives away very little value. 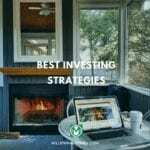 The free webinar usually includes a tutorial of some kind, like how to set up and run Facebook ads, or Google ads, or set up email drip campaigns, but there is rarely anything of substantive value. In reality, they are just giant sales pitches – just by signing up you’ve already given the person your email (insanely valuable since they can start emailing you immediately) and then when you attend the webinar or follow the video series. But let me be clear – there is definitely some real value being shared and some legitimate people really making money online, but they are rare. Or they are just making money by promising to help you make money. Often there ends up not being a lot of “there” there. Then the person asks you to make some form of a purchase – whether it’s a subscription, private consultation, or some form of course. I’m not here to dissuade you from buying these products, I’m just sharing that I’ve sat in at least 2-3 webinars every month over the past few months and all of them were crap. If you want to go deeper and explore models for making money online, some of the best books I’ve read are The Lean Startup , Ask: The Counterintuitive Online Method to Discover Exactly What Your Customers Want to Buy…Create a Mass of Raving Fans…and Take Any Business to the Next Level , and DotCom Secrets . Phew. Thanks for reading to the end. I hope this was helpful. Be careful out there and best of luck making money online. If you have been doing this for a year or so, just keep going. You will get there. While it’s a ton of work, it’s pretty sweet making money online. ? Great post! Thanks for the insight into your financial empire. That’s awesome you made $200,000 by negotiating a percent of he profit on headphone sales! I can’t imagine how infuriating that would be to have a client let you go and use your models. Facebook ads are definitely hard to use. I’ve never done taken an online course. None of them seem legit. Mostly been trying to wing it. What would you recommend to learn how to use Facebook or google ads effectively? Thanks for sharing your tips on making money online, Grant! It was definitely helpful. 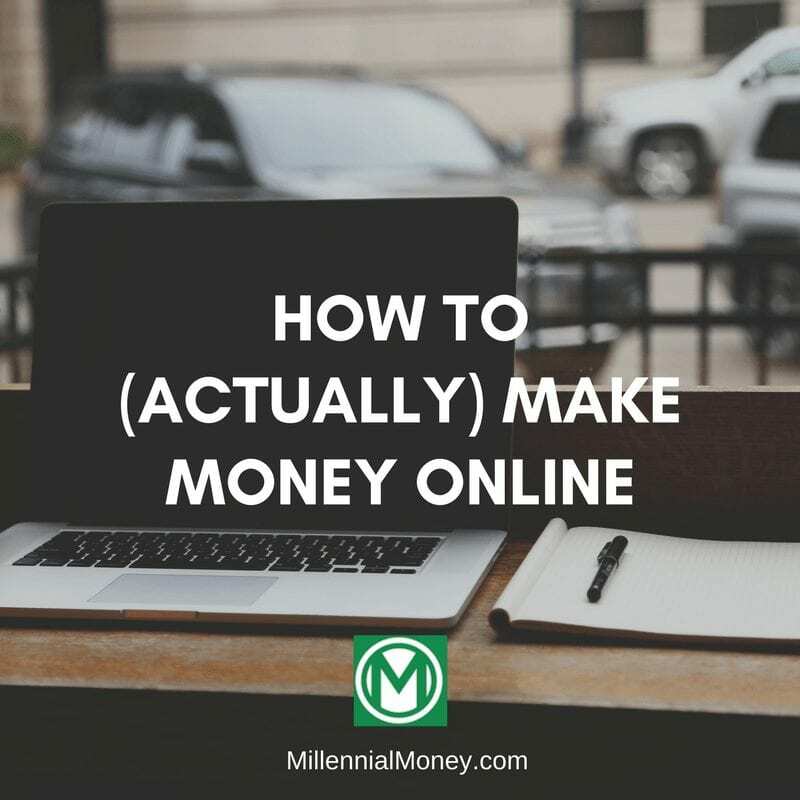 I’ve had some success making money online with freelancing and sponsored content, but it hasn’t been consistent enough., Though, when I actually got paid, it was good to know that making money online through blogging is possible. In reality, if I want to pursue full-time blogging, I need to take your advice and just keep going. But I need to hustle more to increase traffic and get more consistent with posting. Thanks for the motivation and advice! I’m exploring FB ads as we speak for my business and it’s definitely interesting. There are a TON of “gurus” out there these days, we have to be careful! I started blogging just for fun back in about 2006 at 15. I accidentally stumbled into monetization and ended up making greater than $30k/year at my peak. Google Panda killed that empire in like 2011 and I’ve sat out since then. Making money blogging is so much fun. I love the challenge. Great post. I found your site through a link on Fox News website. This was my first visit and first post to read. Looking forward to digging in more. Thanks, Grant! I’m new to the world of making money from blogging. Initially I researched how to make money online for years but never did anything, Until NOW. I just created my first blog and this was a huge help to read as a sort of checklist. Great post! You worked on building a great business and got excellent results. You deserve it!